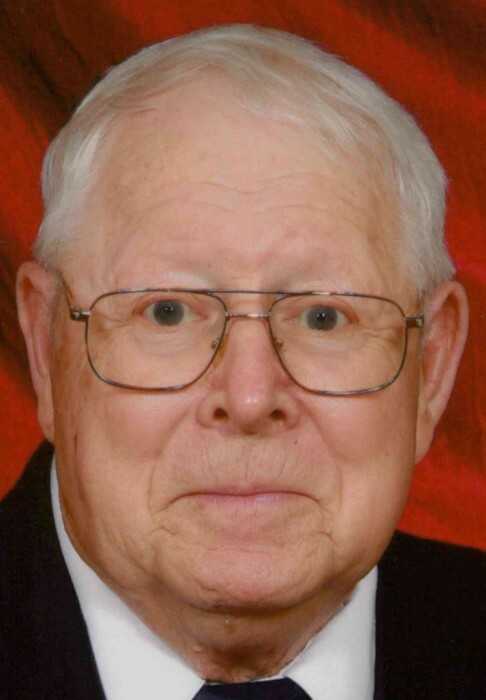 Clayton Augustus Zearbaugh, age 88, Albany, died Sunday February 10, 2019 at home surrounded by his loving family following an illness. Born in Delaware County on Nov. 25, 1930, he grew up in Muncie and graduated from Eaton High School with the class of 1948. He was a U.S. Army veteran of the Korean War and was a route driver for Riggin’s Dairy in Muncie for thirty years before retiring in 1979. He also owned & operated the Kream Kup in Albany from 1971-1995. Clayton was a member of DeSoto United Methodist Church, American Legion Post 167, Albany, and a Past Master of Anthony Lodge No. 171, F. & A.M. He was a former Associate Guardian in Job’s Daughters, Cub Scout Master for Pack 27, an Emergency Medical Technician for the Albany E.M.S., and Albany Police Reserve Sergeant. Clayton enjoyed woodworking, fishing and recently participated in the Indy Honor Flight for veterans. Survivors include his wife of sixty-three years, Marilyn Zearbaugh; a son: Earl Martin “Marty” Zearbaugh (wife: Phyllis), Avon; three daughters: Susan Lesko (husband: Matthew), Elburn, IL, Christy Pirone (husband: Ralf), Adelaide, South Australia, and Jennifer Warren (husband: Barry), Speedway; two sisters-in-law: Darlene Zearbaugh, Muncie, and Kay Dull, Eaton, OH; seven grandchildren: Sara Hanlon (husband: Michael), Amanda Laurie (husband: Brian), Amanda Pirone, Jessica Pirone, Sophie Pirone, Adam Warren (wife: Kari), and Maggie Warren; four great-grandchildren: Ella Hanlon, Keely Hanlon, Millie Hanlon, Evelyn Laurie, and his service dog: Harley. He is preceded in death by his parents, Augustus Martin & Jennie Ellen (Hamilton) Zearbaugh, a brother: Francis “Bud” Zearbaugh, and two sisters: Fairy Tieben and Jeanne Gosnell. Services will be 11 a.m. Thursday, February 14, 2019 at Meacham Funeral Service. Burial will follow at Strong Cemetery with military rites by Veterans of Delaware County Honor Guard. Visiting hours will be held on Wednesday from 4-8 p.m. and one hour prior to the service on Thursday at the funeral home. Masonic rites will be given at 8 p.m. Wednesday at the funeral home. Memorials may be sent to 1) Indy Honor Flight, P.O. Box 10, Plainfield, IN 46168 or www.indyhonorflight.org, 2) IU Health Ball Memorial Hospital Cancer Center, 2401 W. University Ave., Muncie, IN 47303 or www.bmhfoundation.org, 3) Muncie Animal Shelter, 901 W. Riggin Rd., Muncie, IN 47303, or donate blood in Clayton’s name.